The main cause of rhinosinusitis is the existence of abnormal conditions in the osteomeatal complex, associated with impaired mucociliary activity. This impaired mucociliary activity may be caused by different viral and/or bacterial infections. Numerous studies performed by Professor S. Ryazantsev’s group have set themselves the goal of improving our understanding of the mucociliary activity. 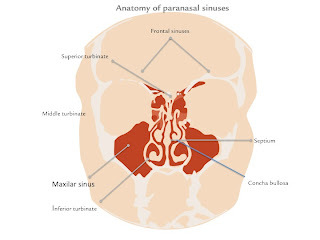 It has been concluded from these studies, for example, that ciliary activity is depressed by the drying process and also by the damage caused by nasal infections, and that some widely used drugs in rhinology can paralyse ciliary activity. Prof. Ryazantsev’s team has developed a special video system that, when combined with microscope techniques, enables mucociliary activity to be assessed in vivo. It has also invented a formula that interrelates the cilium’s end speed with ciliary movement parameters. Nasodren®’s reflex mechanism has been analysed in detail. It has been seen that the reflex hypersecretion in the paranasal sinuses starts 1-3 minutes after administration and continues for about 30-60 minutes. 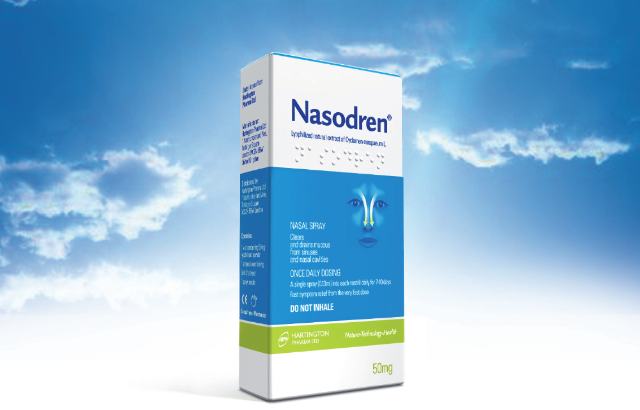 A study in 2006 was begun to determine Nasodren®’s influence in the medical treatment of acute rhinosinusitis. The patients were divided into two treatment groups, with one group receiving cyclamen extract and the other group receiving the standard therapy in Russia (antibiotics and mucolytics). Each treatment’s effect on different reference parameters and on the evolution of the nasal secretions or rhinorrhoea was analysed. The nasal endoscopy also shows significant differences between the treatments chosen. The hyperaemia, hypertrophy and nasal congestion have improved substantially by the fourth day of treatment with cyclamen extract (virtually all these symptoms have disappeared), while they continue until the eighth day in the control patients. The endoscopic examination has also enabled evaluation of each treatment’s effect on the volume of mucopurulent secretions, and it is concluded that administration of Nasodren® is associated with a faster decrease in the amount of mucus secreted by these patients. With respect to the changes detected in the osteomeatal complex (mucous membrane oedema), it is found that these changes appear much earlier in the patients treated with Nasodren®.